TobiWahn, Sins has different damages for different fire arcs. They all have the same cooldown time, but they can do different damages per arc. 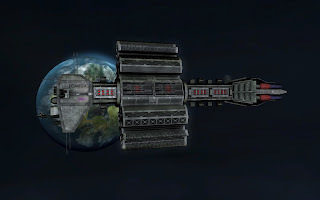 A weapon emitter that faces left will do damage based on the left arc damage in a ship's entity file, and an emitter on the right will do damage based on the right arc damage in the ship's entity file. This also applies to front and rear arcs, of course. Also, all arcs for each weapon use the same particle and sound effects. Let me get this right TobiWahn, you actually thought all weapons arcs fired when one arc fired? When I'm talking emitters, I'm not talking about the damage but just the graphical representation, the nullpoints that spawn the particleeffects. 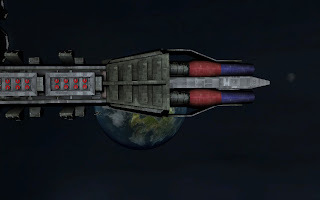 When my ship fires at a target to the left - will only the 5 left-facing nullpoints spawn the weapon firing partiles? I know about the damage models (use them already ) but I'm not sure about the graphical representation. Oh yeah, only the emitters facing towards the left will fire weapon particle effects, the ones on the right will do nothing. 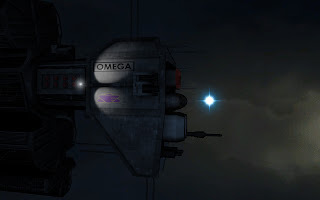 Thanks as does your AO/Mesh improvements to the Omega! Thanks for the screens. As for the Explorer, I'm not sure how much I can do on that model, but I will try. I'm glad to see B5 finally getting some actual mod work, and I love the models that have been put out so far. One question though, is the next release going to be for the newest version of Entrenchment or Diplomacy? I ask because the current release does not seem to be at all stable under the newest version. But still a lot to do. Hehe, take your time. Eagerly awaiting next release, keep up the good work! I can't understand this, as your textures look washed out compared to mine (but I'm using 8x Anisotropic filtering as well, that might help). Still, I will give you screenshots from me for comparison when I get to it. Any plans for the White Star? Nothing specific for now, but I think some way or the other they will appear. Not in the next release(s) though. i cant wait to play Earth Alliance!!!!!!!!!! 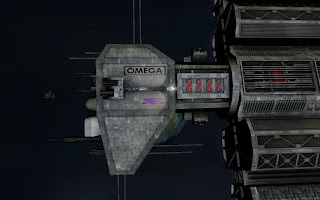 Small question: when i add two or more weapon slots for beam weapon on my ship [Weapon-0] - but in game i see only one beam - from center ship ? 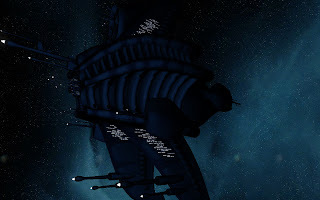 How make two or more beam cannon [like Advent Halcyon carrier] for ship ? Needed for modding. Did you add the proper emitters to Weapon-0? 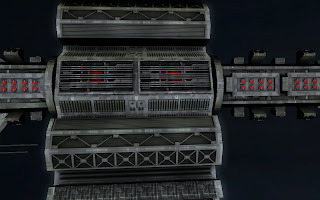 I think the weapon nulls need to be named exactly after their weapon, so a null for Weapon-0 needs to be named Weapon-0, and it needs to either be facing either straight ahead, or in increments of 90 degrees horizontal. So, did that solve your problem? In XSI ModTools you need to name them P001-Weapon-0 to P00X-Weapon-0 for the first weapon for example, because when converted to mesh the converter throws away the first five letters, leaving only Weapon-0 as the ame for the hardpoint. I just want to say, I hope you guys can manage to catch the Bablyon 5 feel ! 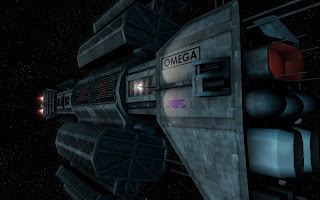 Babylon 5 has been, and probably will be the best TV serie expirience ever, The story, the characters, the ships ( White Star is the most beutifull, elegant, fearsome ship designed ) ever created, Cannot wait for this to be getting close to final release! Wish I could help, but I have zero skills when it comes to modding, all I can say is, keep it up, keep motivated and most of all enjoy your work!